The Santo Niño Church in Cebu City or officially named as “The Basilica Minore Del Santo Niño” is the oldest Roman Catholic Church established in the Philippines. It is located in downtown Cebu City, not far from the site of Magellan’s Cross. The church was built on the same spot where an image of the Holy Child Jesus was found by Miguel Lopez de Legazpi and his band of Spanish explorers in 1565. The said image is the same Sto. Niño relic given by Magellan to Rajah Humabon’s wife after her baptism and acceptance of the Catholic faith. The present church which was completed between 1739-1740 has been the home of Sto. Niño de Cebu. Every Friday, masses are celebrated from 5:00 am to 7:30 pm. These masses are said either in English or Cebuano. During the fourth centenary of the Philippines Christianization in 1965, Pope Paul VI elevated the church to the rank of Basilica Minore. Due to the growing number of devotees flocking to the church especially on Fridays, a Pilgrim Center was built in front of the Basilica. In 1990, masses on Fridays were transferred to the Pilgrim Center. The Santo Niño de Cebu is believed to be miraculous and is venerated by many Filipino devotees. 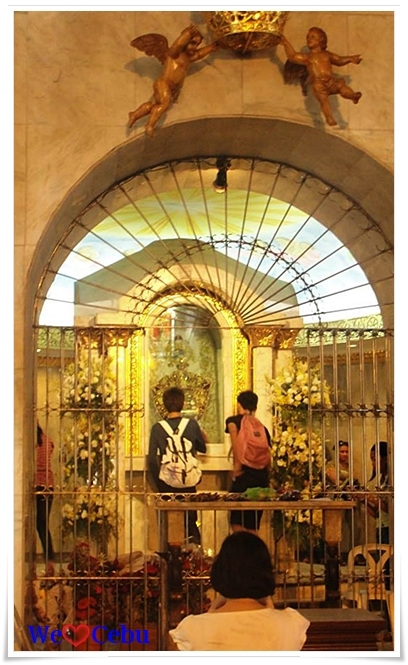 The devotion of the Filipinos to the Holy Child is manifested by the presence of this religious image in many homes, commercial establishments and even in public and private transportation. During Fridays, there is a long queue of those who want to pay respect to the Sto Niño that is encased in a bullet proof glass inside the church. The feast of the Sto Niño is celebrated every third Sunday of January. Thsi celebration is popularly know as the Sinulog Festival of Cebu. Before the day of the fiesta, a nine- day novena masses are attended by numerous worshippers of the child Jesus. During the nine days novena masses, the Pilgrim Center is jam-packed by local devotees, pilgrims as well as foreign tourists. It is believed that once a devotee completely attended all the nine novena masses, his/her request will be granted by the Holy Child. The Filipinos dedication and faith to the Santo Niño is highly apparent when you are in Cebu. This is evident by multitude of local and foreign pilgrims who made their yearly travel to Cebu during the Santo Niño feast to participate in the procession and Sinulog festivities. Many Cebuano residing or working overseas are coming home to Cebu during Sinulog to pay homage to the Santo Niño. It is said that every first timers in Cebu, especially Catholics, must visit the Sto Nino Church. 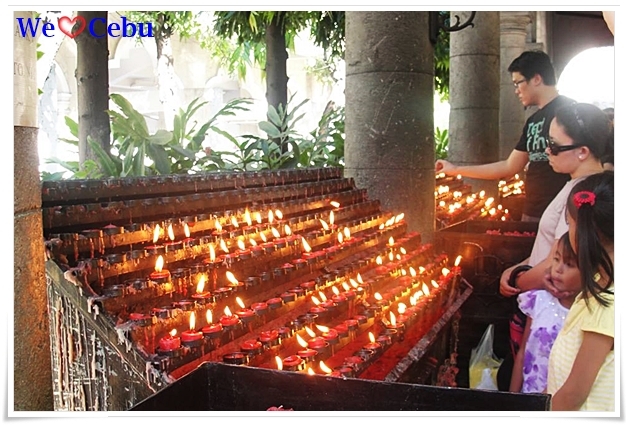 Visiting this religious and historical site in Cebu is a must for every Cebu visitor may they be a first timer or a seasoned Cebu guest. So next time your planning to trip here in the “Queen City of the South“, kindly visit the Sto Nino Church and see the Sto Nino de Cebu, the Patron of the whole province of Cebu. For more must see places in Cebu for your DIY Cebu Itinerary, kindly Like the We LOVE Cebu Official Facebook Page for we will post more travel tips, must try restaurants and commuting guides to makeyour stay here a very pleasant one.